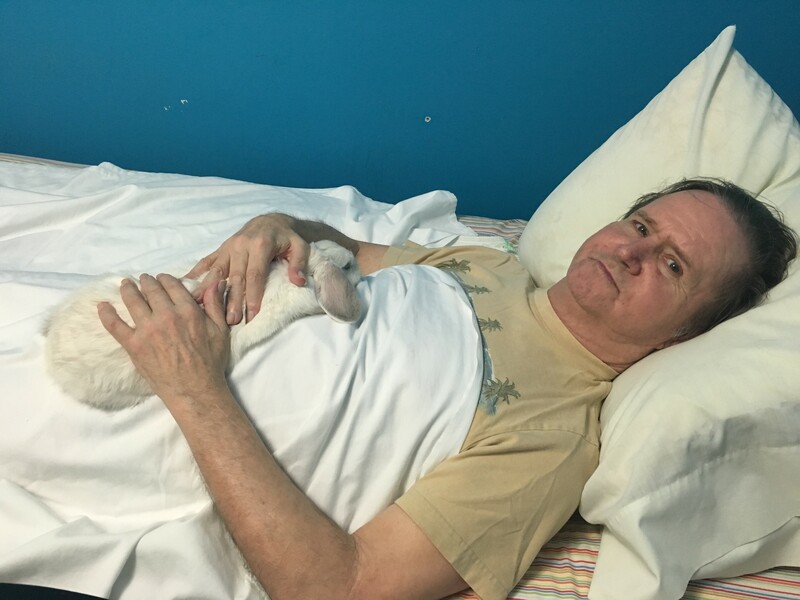 Some of our offices use animal therapy as a part of their caregiving services. Check out our featured offices and meet their furry caregivers. 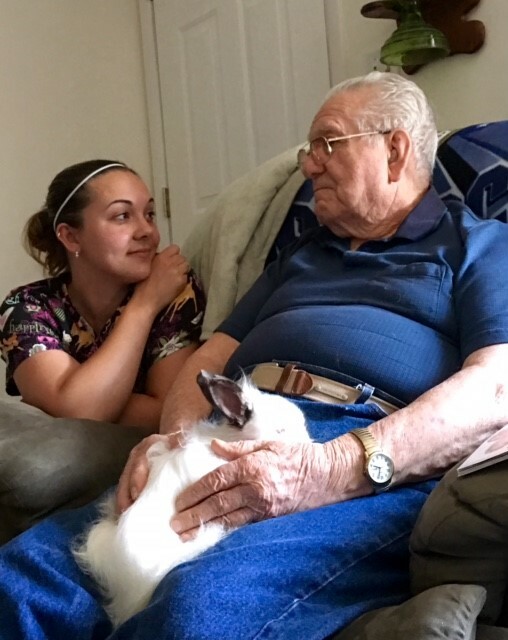 Whitley and her Holland lop, Lola, started the bunny therapy when during a companywide contest in 2016. Offices were challenged to display how they engage their clients in meaningful activities that bring joy and purpose. Whitley and her office won first place. Lola’s biggest fans are the clients, especially Samuel Bell. Due to an illness, Samuel usually stays in his bed and only wants to watch TV. However, when Lola comes to visit him, he lights up and starts chatting. “Lola brings the clients a sense of independence and control. When their ability to care for themselves and make decisions decreases, they become increasingly depressed and less satisfied with life. 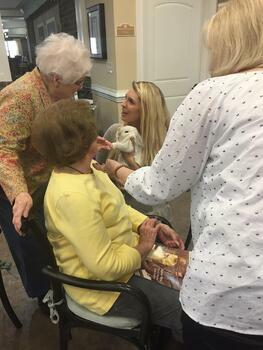 Bringing the rabbit in not only makes them smile, but when they get to groom, pet, and even dress the rabbit in her clothes it brings them back to a place where they are in charge and able to care for someone/something again,” Whitley said. Their office hired this family of Angoras two years ago to help make their clients smile. Their office had a client who had depression and did not want to leave her chair, but Rebecca brought Buddy over for a visit. As soon as Buddy peeked his head out of his basket, her head perked up too and she became more relaxed and happy. Another client who has had dementia doesn’t talk much to anyone and mostly mumbles, but he can have long conversations with Stewy. “They are very popular! People may not know my name, but they know I am the bunny lady and they know the bunnies’ names,” Rebecca said. 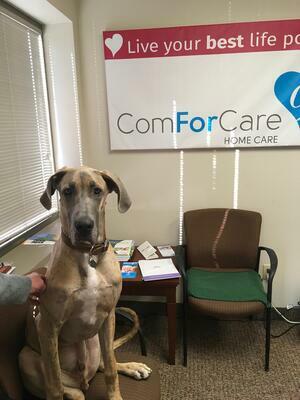 Wilson, a Great Dane puppy, is the office mascot and a frequent star on their Facebook and Twitter pages. Currently, Wilson is in obedience training with the goal to become a therapy animal, but right now he helps around the office. To learn more about the benefits of animals, check out our blog: Pets for Seniors: Animals Can Make Older Adults Happier and Healthier.